There are now just 5 days left to enter the Ski Lifts 10th Anniversary Competition with a brilliant prize of a week’s holiday for 2 people staying in Riders Refuge Chalet Carclion. With the deadline approaching, we thought we would give you all a little reminder of what’s on offer. The lucky winner and their guest will receive complimentary flights to Geneva, where they will pick up a transfer to Morzine courtesy of Ski Lifts. On reaching our chalet in central Morzine, guests will be free to explore the great facilities on offer which include a superb sun terrace complete with Hot Tub and a living area complete with a freesat HDTV, a Wii games console and a media centre with a selection of films. A home-cooked four course dinner with complimentary wine will then be served (dinner will be served on 6 nights out of 7). The following morning, the winner will wake up to a delicious continental breakfast with a hot option to give them all the energy they need to tackle the mountain. Whilst The Super Morzine lift is only a 10 minute walk from the chalet and there is a ski bus stop 200m away, Riders Refuge also offers a shuttle mini bus service to and from the lifts in the mornings and afternoons to make things that bit easier. During their stay, the winner will also receive ski or snowboard hire from Doorstep Skis and a complimentary lift pass, leaving them free to enjoy the mountain at their leisure. The central location of the chalet will be ideal for making the most of Morzine’s nightlife or going out to a restaurant on the staff night off. The competition is completely free and easy to enter by answering 2 simple questions. For all the details, visit the Ski Lifts competition page. 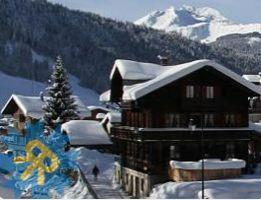 For more information on Chalet Carclion which is ideal for group ski holidays, visit our website or contact us to talk to one of our friendly team.